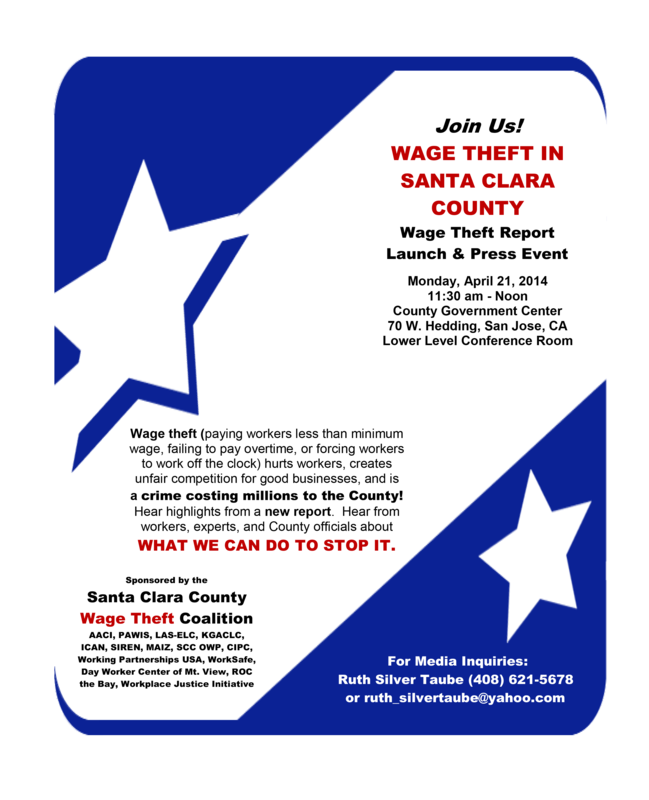 San Jose, California -The Santa Clara County Wage Theft Coalition is holding a press conference on Saturday, January 24th, 2015 from 11:30 a.m. – 1:00 p.m. at Crazy Buffet, 830 East El Camino Avenue, Sunnyvale to demand that the restaurant satisfy the Santa Clara County Superior Court wage theft judgment for wages owed to Jose Santos Rivera and to work with the Labor Commission to ensure that Crazy Buffet satisfies the 20 other wage theft judgments against it on file in Santa Clara County Superior Court. 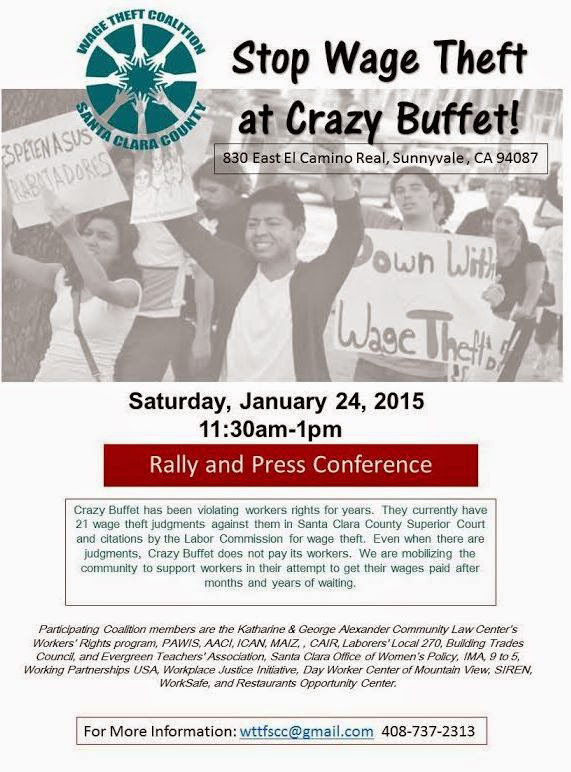 According to a November 25, 2014 press release, California Labor Commissioner, Julie Su, issued a citation for $1.6 million against Crazy Buffet within the last 2 years and citations for minimum wage violations in 2007 and 2010.On January 12, 2014, the Labor Commission held another citation hearing against Crazy Buffet seeking almost $100,000,000 in fines. “This is the first of ongoing actions we will be conducting to let irresponsible businesses know that they cannot continue exploiting workers,” said Michael Tayag, an organizer with PAWIS (Pilipino Association of Workers and Immigrants) and Outreach Co-Chair of the Coalition. “Wage theft is a crime. It hurts workers, their families, and responsible businesses who can’t compete with wage theft violators who don’t pay workers. 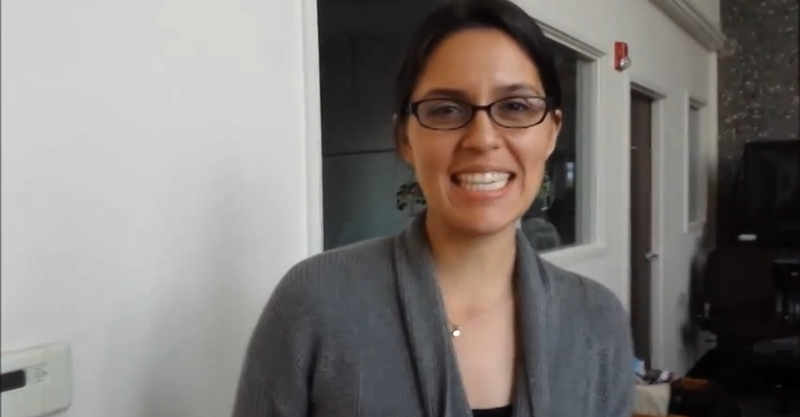 Wage theft must stop,” said Adriana Garcia, a MAIZ and SIREN Board member and co-chair of the Coalition’s Outreach Committee. There is parking in front of Crazy Buffet and in the Safeway parking lot across the road. Program will be provided on the day of. WHEN – Friday, June 6 at 9:00 a.m. – 10:30 p.m. 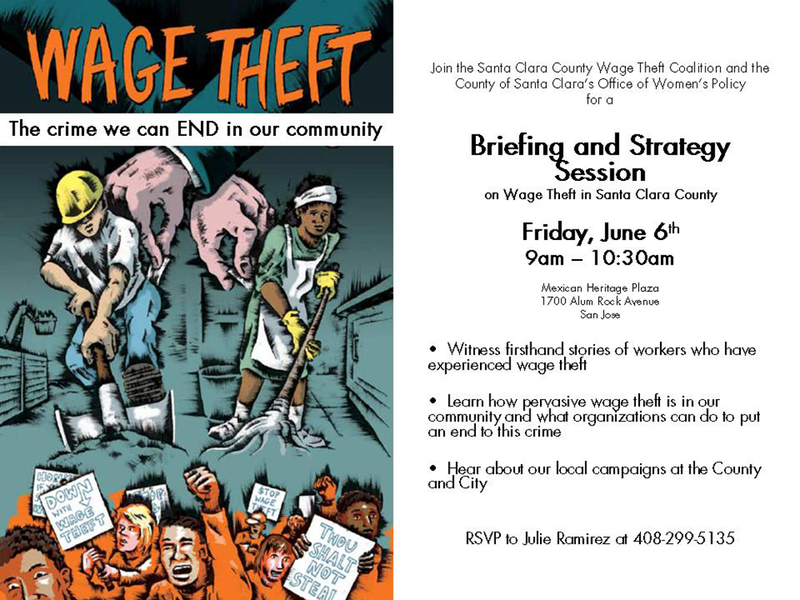 Wage Theft Coalition, consisting of various ethnic groups and organizations opposed to wage theft, which deeply affects workers in the restaurant industry, construction, home care and other low-wage industries.